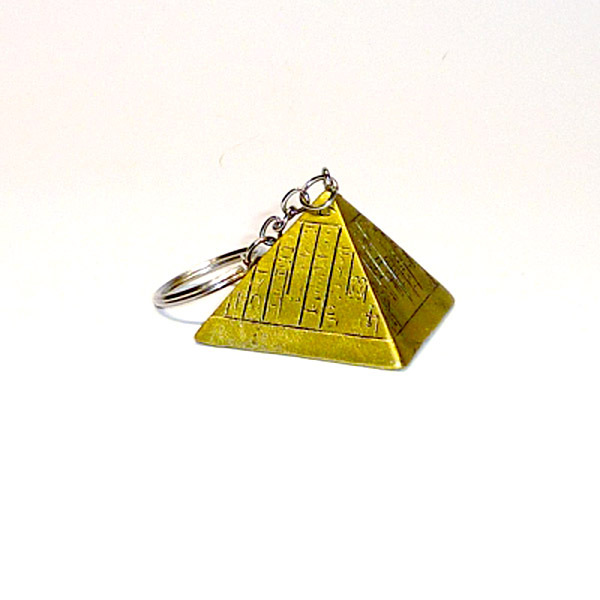 Gilt painted Egyptian pyramid, designed in a detailed realistic style, on metal key chain. Made of gold coloured resin with blue, red and black accents as appropriate. Size: 5cm x 4cm (2” x 1.5”) average.